Moody's Investors Service predicts that the Ukrainian economy will grow by 2% per annum on the average, starting from 2016, on condition there is a positive policy track record of structural reforms, the agency said in a statement. "Upward pressure on Ukraine's rating and/or outlook would derive from a more robust economic recovery than the weak, roughly 2% per annum growth that we anticipate. An upgrade would likely require additional factors to be in place, including a positive policy track record of structural reforms, successful implementation of anti-corruption measures and positive debt dynamics," the statement reads. Moody's has recently announced that it upgraded Ukraine's government issuer rating to Caa3 from Ca, changing the rating outlook to "stable" from "negative." 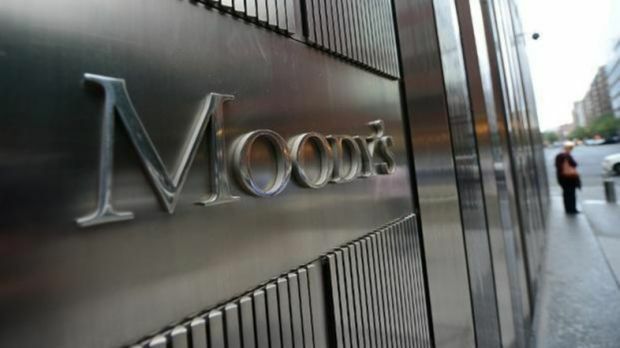 Moody's says the stable outlook on the government's Caa3 rating reflects the current balance of risks, taking into account a stronger external position, including an easing of debt service requirements plus continuing multilateral/bilateral support, against a still highly fragile political and economic situation. "The upside risks include the potential for an economic recovery that is stronger than anticipated and a stabilization, or potentially an improvement, of Ukraine's fiscal strength during the IMF program period, and an increased compliance with the Minsk Peace Protocol and reduced violence in the Kyiv government's confrontation with pro-Russian separatists in the eastern regions of the country," Moody's said. As UNIAN reported earlier, Fitch Ratings and Standard & Poor's Ratings Services also revised upwards Ukraine's rating against the backdrop of the completion of the debt swap deal. Ukraine's Finance Ministry welcomed the rating agencies' actions. Ukraine and the ad hoc creditors' committee earlier reached an agreement on August 27, 2015 on restructuring Ukraine's public debt estimated at $18 billion. The Ukrainian Finance Ministry met with the holders of the Ukrainian eurobonds subject to restructuring in London on October 14. More than 75% of the holders agreed to the restructuring terms offered by Ukraine, namely a nominal debt reduction (the so-called haircut), longer debt maturities and the exchange of the old bonds for new securities at a rate of 7.75% per annum, which are falling due in 2019-2027.